I made this in May and never posted it…. 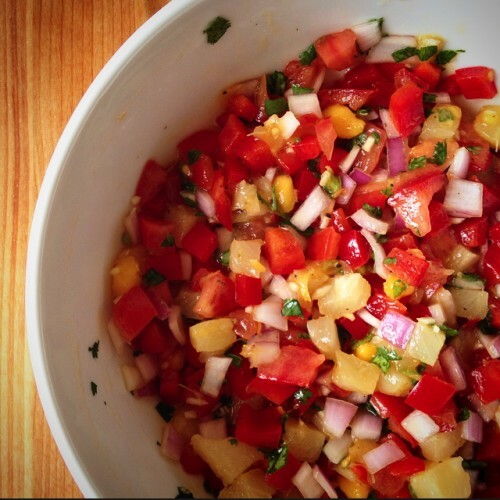 but this was the best mango salsa I’ve ever made! I don’t remember the amounts, but the key unique ingredient was mint!! Very delicious, very summer. We ended up using it in pulled pork tacos! So good. This entry was posted on October 2, 2014. It was filed under Cooking.